Our Maxi Swimming Lane was developed for the 2000 Sydney Olympics. During the Games, fifteen world records were broken in what was considered to have been the fastest pool of its time. Since that point we have continued to develop the performance of the swimming lane by increasing its buoyancy in the water, this has added to its fantastic water dissipation in turbulent waters caused by competitive swimming. 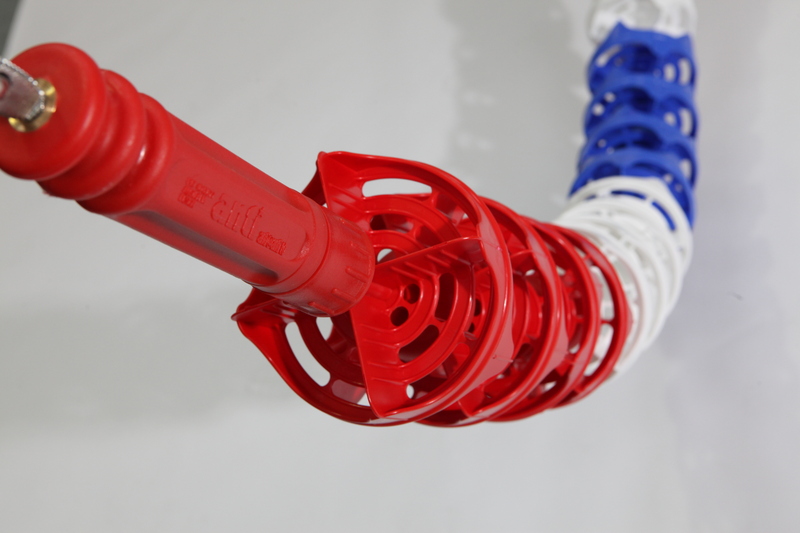 The Maxi Swimming Lane has a 150mm disc and comes complete on Stainless Steel 316 cable with our patented Super Tensioner. The discs are manufactured from UV stabilized high density polyethylene for both strength and durability. The Anti Wave Super Tensioner is superior to outdated turnbuckle technology and does not fray cable, no tools are required and it can give tremendous tension down the lane line. The Maxi Swimming Lane can be supplied in many colours to suit both club and international competition, please contact us to discuss your requirements.